Manufacturer of lanyards, Various straps. 1. 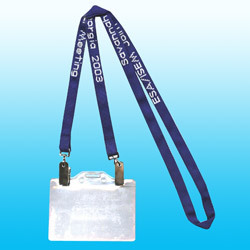 Lanyards are available in various sizes with plastic or metal accessories. 3. Available in a variety of designs. 5. Customers' designs and logos are welcome. 1. Country of origin: Taiwan. 2. Size: 10mm/12mm/15mm/20mm/25mm. 3. Printed: woven logo. 4. Material: polyester. 5. Lanyard color: you can decide any color. 6. Logo color: you can decide any color.